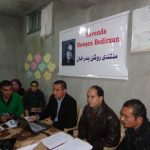 Role of Kurdish student movement in peaceful Syrian revolution – DOZ e. V.
The Union of Kurdish Students in Syria-UKSS held a seminar in “Rawshan Berdirkhan Forum” on 27.Jan.2013 in Khamishli “Qamişlo”, Syria. The seminar was presented by the Kurdish researcher Khorsheed Aleeka “Xorşîd Elîka” under the title “The Role of Kurdish Student Movement in Peaceful Syrian Revolution”. Also, Dr. Talal Ahmed “Telal Ehmed” distributed in the seminar by talking about the role of Kurdish Students abroad in supporting the Kurdish Peaceful Movement. The Students are considered as the base for any political or social movement in many countries in the world for overcoming the policies of dictatorship and overthrowing dictators. 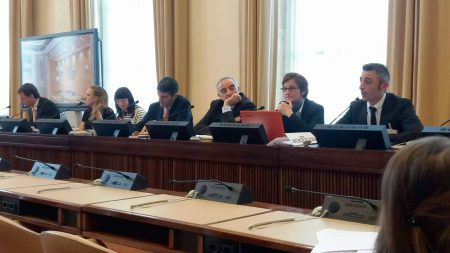 The students in Syria has strongly participated in the revolution against the destruction, murder, mass arrest, and repression policies and have paid the biggest price of martyrs and detainees. The modern social media played a major role in communication methods between students in Syrian universities. The University was a fertile soil to raise the political, social, intellectual, and civil awareness on the ground and Syrian universities was the first place where this young revolutionaries started from regardless of their background. Since the beginning of the revolution, the studnets played a major role in the popular revolutionary movement and the universities became bases of resistence against the totalitarian regime. The protests were staged in almost all universities, especially Aleppo University which was very active since the eruption of the revolution and which became as a symbol for the studnet movement which consisted of different backgrounds of Syrian society fabric. The demonstrations were broken up in violent manners by security forces as well as other student demonstrations in other universities and colleges. In Aleppo and during this demonstration (see photo) four students were killed by security forces and hundreds of students were arrested. Despite of many arrest campaigns by security forces on student dormitories and universities the students continued their movement on a daily basis. The students make 25% of death toll since the demonstrations started in Syria according to Union of Free Syrian Students-UFSS which was founded on 29.September.2011 to struggle against the Syrian regime, and to be a political, democratic, and syndicate base for a free student life in Syria. Since the beginning of the Kurdish political struggle in Kurdistan of Syria and the foundation of the first political party in Syria in 14.June.1957 under the name (Kurdistani Democratic Party in Syria – “Al-Parti”) some of its leaders were university students and some of them holding PHD certificates. 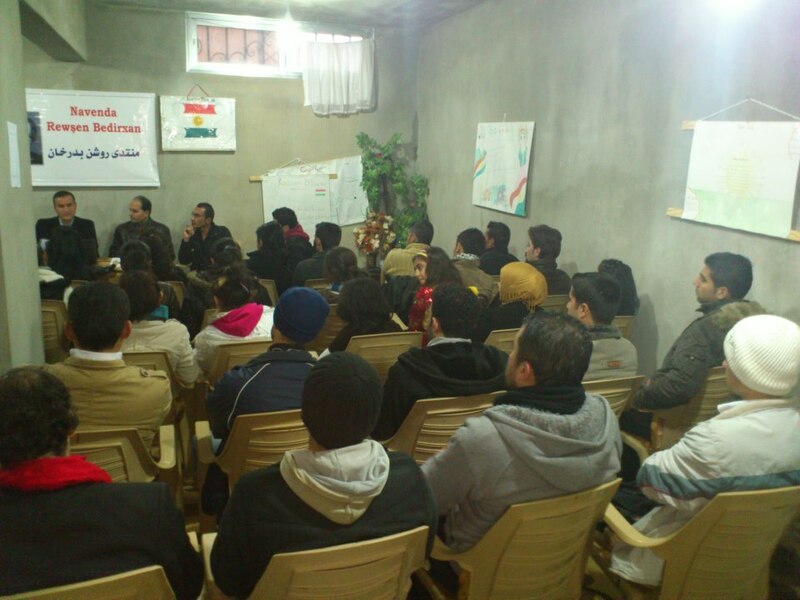 At that time, when some Kurdish students attend a seminar in Haddad Cinema in Khamishli “Qamişlo”, they raised the slogan “long live the Arab-Kurdish brotherhood” and because of that some of those students were imprisoned for around a year under the accusation of “raising racist slogans|’ and they were expelled from their studies. 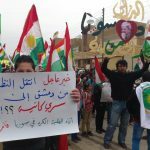 A demonstration was staged in Damascus on 21.March.1986 by around 10.000 Kurdish protesters because of the prohibition of Kurdish New Year Gathering “Newroz Day” and many non-Kurdish Syrians participate din it too. The security forcess opened live fire which caused the death of “Mohammed Ameen Suleinman Adi” and many protesters got wounded. Upon that, the Kurdish students staged another demonstration and walked into the Presidential Palace. When they arrived to the Presidential Palace, they were asked to nominate a delegate from them consisting of 5 people to talk with the authorities in the Palace and most members of this delegate were students. In 2000, the Kurdish political movement got active again and the first demonstration was staged in Damascus in front of the Parliament Palace on 10.December.2002 under the leadership of Yekiti Political Kurdish Party, and many Kurdish students participated in it those who were studying at Damascus University and also from other Syrian universities. On 25.June.2003 a demonstration was staged in front of UNICEF Center for motherhood and childhood in Damascus, but the security forces and anti-riots forces prevented the children to arrive to the center the children who wanted to hand a letter to UNECEF explaining in it the daily hardships of children; because of that seven leaders of this demonstrations got arrested two of them were students “Salar Saleh” and the journalist “Mesud Hamed” who was arrested during the examination time from exam hall in Journalism College in Damascus University because he wrote about this demonstration in online media. In the Kurdish Uprising in Syria on 12.March.2004, around 30 protesters were killed and more than 700 were wounded by live fire, and more than 7000 protesters were imprisoned mot of them were young people and students. I was also part of it as I took part in the student demonstration in Aleppo University during the Kurdish Uprising which frightened the regime and hundreds of Kurdish students were beaten, arrested, insulted, and expelled from the university. Also and at the same time, many Kurdish students were arrested and expelled in Damascus University and from Dormitory because of staging protests in Damascus to support the Kurdish Uprising and calling for stopping the killing, repression, and arrest campaigns against Kurd in Syria. After the Kurdish Uprising, the Kurdish students were arranging protests each year in the time of the Kurdish Uprising in all Syrian Universities and condemning the massacre that was implemented by the regime against Kurd in 2004, and calling for a fair and transparent investigation bringing the responsible for killing Kurd that time to justice. Still each year in the time of Kurdish Uprising, many Kurdish students are being arrested or expelled during each protest and the last one was in Aleppo University on 12.March.2009. Dozens of Kurdish Students participated in Damascus demonstration on 30.May.2005 in Al-Fardous Square and called for uncovering the facts about the arrest of Sheikh Maashooq Al-Khaznawi (A Kurdish Opposition Figure asked to separate between authority and religion), but the regime thugs and secret civil forces broke up the peaceful demonstration to plot a sectarian conflict between Kurd and non-Kurd that time. During the funeral of Sheikh Maashooq Al-Khaznawi in Qamishlo, Syria, a student demonstration was staged in Aleppo University in the main square of the university on 1.June.2005. Many Kurdish Students participated in it and raised slogans asking for uncovering the killers of Sheikh Mashooq Al-Khaznawi. The demonstration was ended before the arrival of security forces to the university square. On 01.June.2006, dozens of Kurdish students demonstrated in the square of Aleppo University raising slogans said by “Sheikh Maashooq Al-Khaznawi”, such as: “The rights are taken by insistence, but no tyrant gift the rights” and they raised the picture of “Sheikh Maashooq Al-Khaznawi” in the demonstration. The Syrian security apparatus prevented the Kurdish students to organize student parties and trips in Syrian universities. They prevented that even in Al-Furat University, Al-Hasaka Province University Branch, and they arrested a lot of students who organized student trips and prevented their buses to move; above all, arrested the bus drivers who accepted to go with Kurdish students and confiscated their driving licence so Kurdish student will have no chance for any kind of student life. 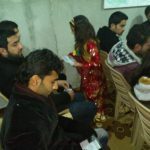 Moreover, the security apparatus in Syria prohibited the Kurdish students from holding political seminars as In Latakia University many Kurdish students were arrested in a seminar discussing politics. On the other hand, the Kurdish students from Damascus, Aleppo, and Latakia Universities participated in demonstrations in the International Day for Human Rights on 10.December of each year, and in the university of exceptional (totalitarian) census (which prohibited 300.000 Kurdish family from Syrian citizenship in north Syria and from the property of their lands) on 5.October.1962. Afterwards, many Kurdish student demonstrations were staged in front of Syrian parliament and the presidency of Council of Ministers, and in front of Higher State Security Court. The Kurdish students played a major role in Student conferences and seminars in all Syrian Universities as they were always more organized and audacious in presenting student, syndicate, and political topics, they won many seats in student conferences, and they were close to get leading positions in the National Union of Syrian Students (NUSS) unless the racist policy of the Syrian regime prevented them. During student conferences and because of the political and firm speeches of Kurdish students, they were always arrested and taken by security apparatus for questioning. After the Kurdish student movement became more organized and planned in Syrian Universities, regime prohibited elections in the university, and the process of electing student boards transformed from real student conferences into an ambiguous election process which was already planned in the shadow list by special groups of Al-Baath Party in each college. İn the night of Newroz Day (Kurdish New Year Festival) in 2008, three Kurdish young men were killed by live fire from security apparatus while there were celebrating on the road of Amuda-Qamishlo in front of (Kasimo Mosque). On of them was a baccalaureate student and his name is (Mohammed Mahmoud Hussein). The other one was a student in Biology College in Al-Furat University in Deir Azzour City-Al-Raqqah Branch in the second year of his studies and his name is (Mohammed Yuhya Khalil). On the other hand, there many university students got wounded in this accident. On the 02.November.2008, dozens of Kurdish students took part in the demonstration staged in front of the Syrian Parliament which was against “the state decree-law” No.49 regarding construction and real estate in Kurdish Region “North Syria”. 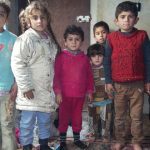 This decree paralyses the economic life in Kurdish Region and caused the migration of indigent resident into other cities of Syria and abroad. Around 200 demonstrators were arrested in this demonstration including dozens of Kurdish University students. When the revolution of dignity and freedom started in Syria on 15.March.2011, the Kurd were more organized than other components of Syria as they were one of the first catalysts to chant against tyranny and repression that was practiced on Kurds in particular and other Syrian components in general. There was also a young base of (Yekiti Kurdish Political Party) and some independent young people (most of them university students), they built a stage to celebrate Newroz Day (Kurdish New Year Day) in Ali Farro Village in Qamishlo, Syria in 21.March.2011. They called for freedom and to stop the killing machine in Daraa, Syria. On the other hand, dozens of Kurdish students in Damascus University participated in the demonstration of Friday 25.March.2011 (Al-Izzah Friday) which was started in front of Umayyad Mosque towards Marjah area, but it was repressed by security forces. Also, Many Kurdish youth participated in the the demonstration those who were residing in Damascus in Al-Humaydiyah Demonstration, thus, Kurdish youth have participated in every spot in Syria in peaceful movement and especially in Syrian Universities. 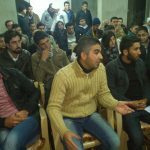 The Union of Free Syrian Students-Al-Jazeera branch, has participated in demonstrations and protests in Syrian universities and Al-Jazeera branch has been active in the Kurdish Region and raised slogans about the Kurdish students and the detainees in Syrian Revolution. They called for the over-through of the regime, achieving a civil state, and bringing the democratic life back to Syria. They adopted the peaceful movement in its activities based on Civil Disobedience, non-violence, and providing logistical support for other areas in Syria. m\ny Kurdish Students have been followed and arrested and some of them were forced to flee the country to Turkey or Kurdistan of Iraq while others fled to Europe. One of the prominent Kurdish founders of UFSS is Jagar Khwin Malla Ahmed who was arrested at the beginning of March.2012. The last information about him according to his father says that in the last visit to him in Al-Muslamiyah prison in Aleppo in January, their situation in the prison was tragic and they don’t get more than one meal per day. The Syrian Peaceful Movement was accompanied by a student movement that built the infra structure of a civil characteristic since the beginning, and many student committees organized this movement. 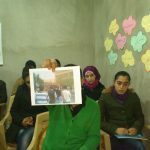 The Kurdish student committees were more organized and focused due to their long-term opposition to the Syrian regime through demonstrations and protests that were prohibited by the Syrian regime. The Union of Free Syrian Students-UFSS, most of its founders are Kurdish Students. The Union of Kurdish Students in Syria-UKSS was formed on 15.January.2013, because of the special situation of the Kurd and Kurdish Region, and because of the armament and extremist actions that the regime forced it on people to take in other areas in Syria. 11.2011, a demonstration was staged in Biology College in Damascus University by (Kurdish Students and Students from Daraa province), one student was killed in this demonstration. 11.2011, a demonstration was staged in Arts Faculty, Damascus University, the main catalyst of it were Kurdish Students. 2011, a demonstration was staged Human Medicine Faculty in both Damascus and Aleppo Universities by Kurdish and other students. Many students were violently beaten and some of them got arrested. 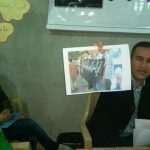 2011, Kurdish students organized a donation campaign to collect donations for citizens and students of striken Daraa Province. 2012, the security apparatus and Assad thugs raided into the student dormitory of Aleppo university in exam’s period, destroyed their rooms, arrested more than 500 students, and killed some students there. May.2012, a mass student demonstration was staged in Aleppo University, the students climbed on the main gate of the university and raised the independence Syrian flag, and students were chanting for change and reform in it. January.2013, many Kurdish students were killed during the Syrian revolution. The student “Shereen” one of them who was killed while she was going from Aleppo University to her residence in Damascus. Also, some Kurdish students were killed when the regime bombarded Al-Amarah Area of Damscus and the Dormitory in Aleppo in the same date. On the other hand, there is a Kurdish family from Kurdish Region “North Syria” searching for their daughter who left Arts Faculty to her family place, but she is still disappeared up to this moment. Since the eruption of Syrian revolution, the Kurdish students were and still active in all demonstrations staged in Kurdish Region, not only on the student level but also on the politcial parties level, and also independent groups and committees. The students are still struggling to build Student Unions independent from political parties, and to guarantee that the revolution has accomplished its goals. On the other hand, the students are seeking to change the laws of universities so it will guarantee a democratic election of deans and presidents of universities, and to lift all totalitarian sanctions that were issued against students, also to fight the managementl and financial corruption. Some analysis and academics paraphrase the the power of student demonstrations although they are from different social backgrounds and not beginning to one university or political party is that: it creates a microcosm of real Syria, as the students come from different areas and backgrounds that enables them to participate in deeper discussions about knowledge and activities. On the other hand, all most students are liberated from responsibilities, restrictions, and pressure that other parts of the society have, and that provide them with the opportunity of more expression and calling for real change, opposing, and civil disobedience. Also, the gathering of students in one place with huge numbers make them a great power and a pressing card if the agree on one target. The students in Syria were always in the first rank to call for change, reform, and thave paid a lot of martyrs for that. Uniting the student groups in all Syrian universities. Staging demonstrations and organiznig public strikes inside and outside universities in peaceful manners. Seeking to create a civil state of democratic pluralistic system that guarantees Justice and equality for all citizens. Working to build liberated independent universities of real knowledge and academic life without any corruption or monopolism of one party or side. Some academics say, that the student want to clean the universities and dorms from intelligence “secret service, security forces and corruption. Demanding from the Ministry of Higher Education to provide extra seats for increasing numbers of students, and to secure job opportunities for the hundreds thousands of students who graduate each year. As many graduated students because of not finding a job in Syria the move to Gulf Countries, Kurdistan of Iraq, or Europe. The statistics demonstrate that the unemployment rate was more than 25-30% and reached 55% of those who are under 25 years old, in a country where the people who are under 30 years old are making 65% of the whole population. Despite the current situation, our universities became bases of resistance against repression, as it happened in Tunisia and Egypt. The Tunisian regime closed the universities few days before the fall of Bin Ali (Tunisian Dictator) because universities were active bases for protesting in the Tunisian revolution. In Egypt, the students have established independent student unions. 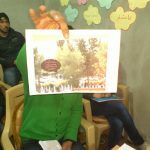 In both countries as in Syria, the students were the pioneers in resisting and challenging ditators to achieve the revolutions goals. The peaceful resistance that the Kurdish students have showed in the universities and Kurdish Region is considered a democratic civilian one from the general Kurdish movement against repression of the regime and its security apparatus. Thus, The Kurdish student unions should have more collaboration and cooperation with each other to unite the student movement in Syrian universities. And to have an official Kurdish student union in transitional period that could represent the Kurdish students inside and outside Syria. Also, the peaceful movement should always focus on peaceful tools till we achieve a real democratic change and to build a civil pluralistic state which could guarantee the dignity and freedom of citizens.